Fast acting energy source for cattle and sheep, while protecting the liver and preventing the breakdown of body fat. 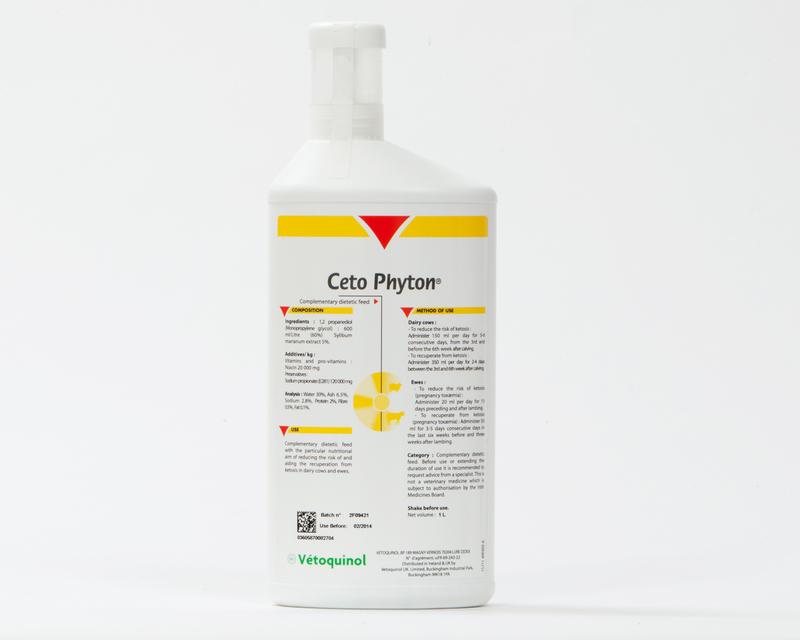 Ceto Phyton- An ideal energy source for animals to reduce the risk of ketosis in cattle and twin lamb disease. No other supplement contains the 4 constituents; sodium propionate, niacin, sylibum marianum, (the active ingredient in milk thistle) and monopropylene glycol making it more effective than propylene glycol only products. Niacin and Sylibum marianum help break the energy deficiency cycle and speed recovery. Low volume, once a day dosage ensures ease of administration and less stress on the animal. There are currently no questions for Ceto-Phyton Supplement for Cattle - be the first to ask one!